The impacts of UHVDC transmission project on the environment consist of several aspects, such as synthetic electric field, ions flow, magnetic field, radio interference, and audible noise, which are the major technical problems that must be considered in the engineering design, construction, and operation of power transmission projects. 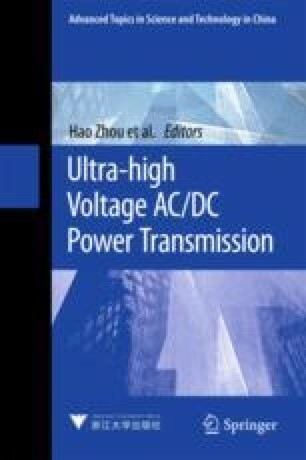 This chapter presents a discussion on the parameters, assessment, and impact factors of electromagnetic environment for UHVDC transmission line. And the measures for improving the electromagnetic environment of DC transmission lines are discussed. Finally, the electromagnetic environment of UHVDC converter station is introduced.